The Big Brother 19 week 2 nominations are in and Cody’s goose is all but cooked. Paul’s plan to backdoor Cody has always been to nominate Josh and Alex and hope Cody doesn’t get picked to play for Power of Veto. That plan became even more solid when Christmas was chosen by America to receive the second Den of Temptation prize — which gives her the power to remove a chosen POV player (so, not the HOH or nominees) and replace that person with herself, plus she gets to curse three houseguests of her choice. What this means is even if Cody is chosen to play for POV, Christmas can remove him from the competition and take his place. Cody’s only two outs now are if both he and Christmas are drawn as Power of Veto players (which means she can’t take him out of the comp because she’s already playing) or if both Cody and Jessica are chosen to play for POV (because Christmas could only remove one of them). Of course, those things could easily still happen if production wants to have them happen, but Cody or Jessica would still have to win POV to avoid the block. 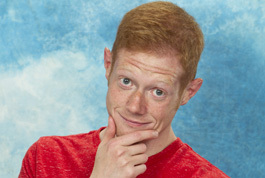 Paul seems dead set on putting up Cody as a re-nom and Jessica is definitely going to be the contingency target. When it’ll really get interesting is after the POV ceremony, when Cody will be fighting for his life. Can he possibly salvage his game at all and stick around? He has burned a lot of bridges these first couple weeks, so it definitely won’t be easy — but it certainly makes for a more interesting game with him in the house. Stay tuned to We Love Big Brother for all the latest Big Brother 19 news — follow WLBB on Twitter and like us on Facebook to stay up to date. And don’t forget to support our site by signing up for your “Big Brother” live feed trial through our website’s link. TV critic by way of law school, Andrea Reiher enjoys everything from highbrow drama to clever comedy to the best reality TV has to offer. Her TV heroes include CJ Cregg, Spencer Hastings, Diane Lockhart, Juliet O'Hara, Buffy Summers and of course Julie Chen. TV words to live by: "I'm a slayer, ask me how."